We would like to wish all our clients and candidates a Merry Christmas & a Happy New Year for 2017! Everyone is back in the office from the 3rd of January as normal. 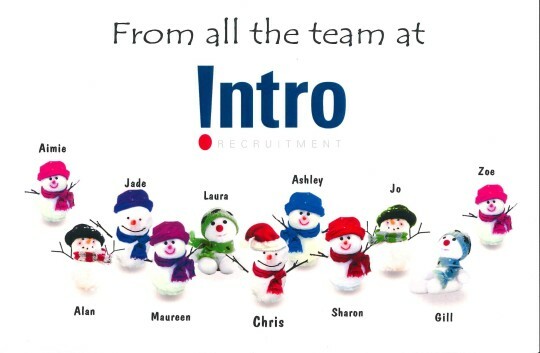 From us all at Intro, we would also like to take this opportunity to thank you all for working with us to make 2016 a fantastic & successful year. We look forward to what 2017 has to offer! 04/12/2018DON'T JUST DO IT, INTRO IT! 20/04/2018There's an ! on our Team!